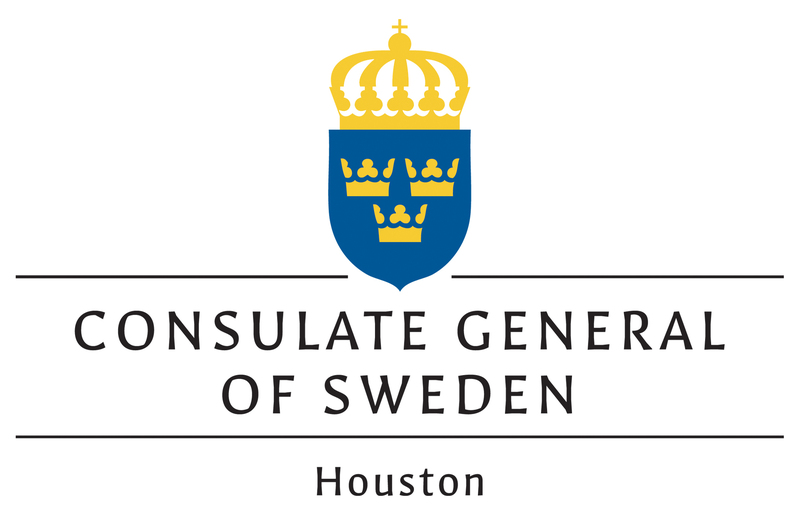 The Scandinavian Folkdancers of Houston were organized in 1972 by native-born Swedes and Texans of Scandinavian descent, most of whom lived in Galveston County. (At the time, the group was known as the Gulf Coast Scandinavian Folk Dancers.) The group's stated purpose has always been to preserve and display not only Scandinavian folk dances from Sweden, Norway, Denmark, and Finland, but also other aspects of Scandinavian culture and heritage. Through the years the group has performed at many events throughout southeast and central Texas. In addition to dancing for Scandinavian churches, clubs, and events, the group has reached a wider audience by performing at festivals such as the Houston International Festival (Houston, Texas), Viking Fest (Georgetown, Texas), and the Texas Folklife Festival (San Antonio, Texas) where the group has appeared 23 times in that Festival's 27 year history. For many years the group has also performed at the biennial Hyllningsfest (Lindsborg, Kansas) to honor that city's Swedish founders. Many Texans make it a point to seek out the booth the group has every year during Galveston's Dickens on the Strand festival. At that booth, one can buy the authentic Scandinavian Christmas season drink, Glögg. Proceeds from this activity go to help defray expenses when the group travels to Scandinavia. The group has made several such trips, usually at about 5-year intervals. On these trips our dancers stay in the homes of members of local folk dance groups; some of these groups have visited Texas and stayed in the homes of our dancers. In this way, new dances are learned, new friendships formed, and the ties between groups and countries are strengthened. On recent trips the group has performed a program of country/ western dances, described by one host in Sweden as "a breath of fresh air." Most recently, the group travelled to Sweden in June 1998 to take part in Midsommar celebrations near Stockholm, and to visit and perform in Gotland, Dalarna, and Gastrikland. 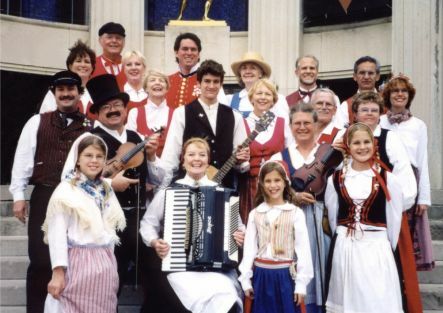 Although the group is named the "Scandinavian Folkdancers of Houston," members are of various ancestry, including Bolivian, German/Alsatian, Scottish/Hungarian, and mongrel.